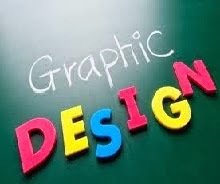 For you as a graphic designer or graphic designer candidates , the ability of using graphics software such as CorelDraw , Adobe PageMaker , Adobe Photoshop and others not enough. product technology these are merely a tool to support design work , which if not our creative spirit that moved , the results are not as expected . Lots of people call themselves a graphic designer with knowledge of just relying on the use of computer graphics software , but do not hone and add insight by reading the theory of art and design and science communication . Why ? For the role of art in terms of order and beauty in design publications . While the science of communication play a role in understand the position of graphic designer as communicator is being compose messages to be read by the communicant ( the receiver of the message . What I see a lot of people collect books computer graphics rather than a book about the theory of aesthetics, design theory or science communication . While it is true we unconsciously apply . This book describes in brief , yet comprehensive enough on the basics of graphic design graphic designer must understand the beginner , or a professional . Thus, when the receipts of various computer graphics software , do not dwell on the technique used , but rather think fully in control and communication arts in graphic design produces visual works good .